High dividends are not always quality dividends. 3. What Is a Good Dividend Yield? When you search for mutual funds and exchange-traded funds that offer dividends, you need specific criteria to help narrow your choices. Claims of high dividend yields are not enough by themselves to make a fund a good fit for your investment goals. You can find income along with stability and longevity so your investments will continue to pay strong dividends without eroding your original investment. Some funds focus on a few industries, such as utilities and consumer staples, to get high dividends. Such a fund can make your investment vulnerable to swings in the market, because your fund's extreme focus means if utilities and consumer staples drop in value, your investment could lose value. You can find funds that offer dividends while spreading risk among many industries. You may earn slightly lower dividends, but what you gain in stability can make up for the sacrifice. A fund's total return means dividends plus price increases. While an increase in the share price of investments is good, you can't take profits on rising stocks as easily as you can collect dividends. You have to sell part of your shares to take profits. Dividends pay out as cash each month or quarter without depleting the number of shares you own. Make sure you look at dividend yield and not total return when you seek dividend-paying funds. Some companies have difficulty attracting investors because their business is not stable, they are losing money or they aren't growing. Such companies may offer an exceptionally high dividend so investors will buy their stocks. If your fund invests in these companies, you run the risk of losing money if the company fails. 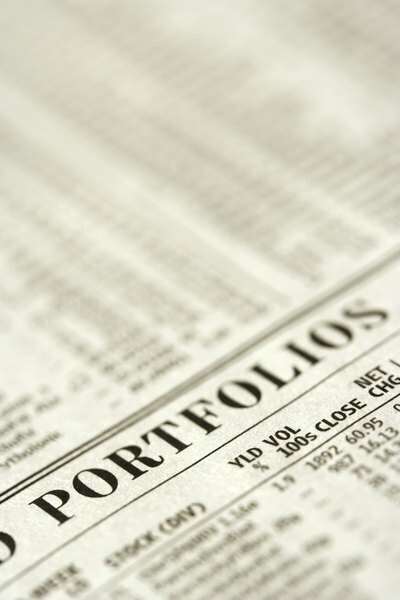 Examine a fund's portfolio to see if it contains risky companies. The high dividends could mean high risk. Even if a company does not fail, it may lower its dividends to ease its financial obligations. A lowered dividend could cause a drop in the stock's value. Funds may invest in bonds and real estate to provide income while spreading risk. Such investments pay interest instead of dividends, and this can help provide a steady stream of income. Though your main focus may be dividends, a fund that has a variety of income streams can keep those checks coming if some stocks lower their dividends. Check to see if a fund has a strategy to take advantage of nondividend investments as part of its portfolio.